The question has been asked a million different ways. Is building a pool worth the money? Will building a pool add to my property value? What are the costs versus value? But at the end of the day, they all want to know the same thing—is building a pool a good investment? Despite what you may have heard, owning a pool can have some financial benefits. Here are our top three perks to building a pool for yourself. It’s obvious that building an inground pool will add value to your home. Almost any type of new construction will make your house worth more than it was before. What you may not know, however, is that if you play your cards right, you could increase the value of your home between 7%-30%. Of course, this number depends on a number of factors (including the preferences of the buyer) but living in a state like Arizona with a long swim season, works in your favor. In addition to adding value to your home, having a pool can be a big incentive for buyers if you decide to sell. You only have to watch a couple of episodes of House Hunters to see that a lot of people who are looking for homes want a pool. 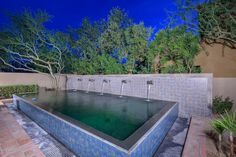 Whether your house is one of the few gems in the neighbor that has a pool or you are simply making sure you’re not the only one without, having a pool can help your home sell quicker when the times comes. And if your pool is well-kept, it gives you even more of a competitive edge. 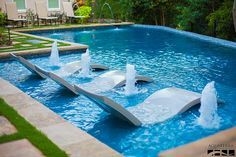 It’s true, building a pool has a large upfront cost, but it could actually help you save money in the long run. If you have children, having your own pool can save you trips to the water park in the warm summer months. Even as an adult, a pool can serve as a great source of free entertainment for your family and friends. And if you are the health-conscious type, you can utilize your pool for exercise and replace your gym membership for a large portion of the year. When it comes to building a pool, most people think about the costs but don’t forget about the benefits! If you are considering building your own pool, contact us today for a free in-home estimate. We are committed to building quality pools for families like yours. We’ll make sure you end up with a pool you love.